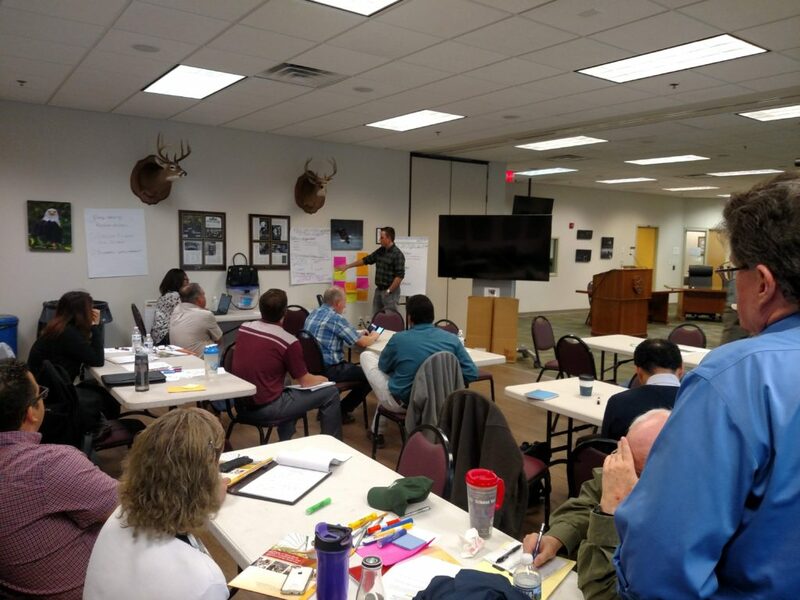 Last Fall, Members of the Potomac Aquaponics Association met for a two-day conference to discuss advancing aquaponics in the Potomac region. Represented at the meeting were: the national Aquaponics Association, the National Association of State Departments of Agriculture, the University of the District of Columbia, Virginia Cooperative Extension, Virginia Department of Game and Inland Fisheries, Virginia State University, Virginia Tech, and Anacostia Aquaponics DC LLC. We identified three areas in which we could advance aquaponics in the Potomac region. Stay tuned for part 2! October 21 – 28 is Food Recovery Week in Washington, DC. Check out a full list of events at dcfoodrecovery.org. Anacostia Aquaponics is hosting two events in conjunction. 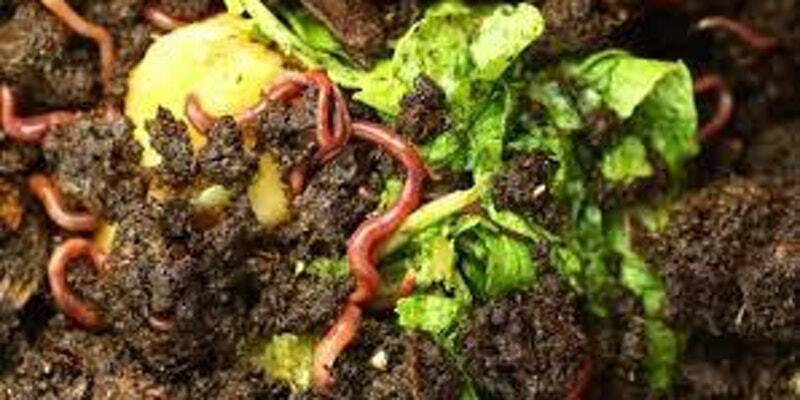 OK, vermicomposting makes sense, but what does a fish harvest have to do with food waste & recovery? In honor of DC food recovery week we are going to bokashi compost the fish guts. The fish guts and skeletons are extremely rich with nutrients that plants need. There is no reason to send these nutrients hundreds of miles to a landfill to rot. Instead, we can use compost methods to transform and re-use these nutrients right here in our own city. (and on a large scale this will create many JOBS). Aquaponics can also stem the problem of food waste by providing vegetables to urban and arid areas without crop spoilage during transport. Our nation wastes thousands of tons of vegetables each year due to spoilage during transport. Contrast this with Scott’s aquaponic system where we’re hosting this event. In the warm months Scott grows an entire salad a day for his entire family that can be harvested the same day they eat it; if we all grew hyper-local like Scott there would be a LOT LESS FOOD WASTE! Here’s a pic from a recent UDC volunteer day at the P.R. Harris Food Hub near the southern tip of DC. Volunteers and staff have disconnected the grow-trough drain lines so that the pipes can be cleaned to prevent clogging, and the troughs can be removed and rinsed. The P.R. Harris hydroponic greenhouse uses this A-frame design to hold grow-troughs vertically and make the most of our limited urban space, while ensuring that plants still receive enough light. Next to the P.R. Harris hydroponic greenhouse is the aquaponic greenhouse. The aquaponic system is still undergoing mechanical improvements before it is functional. Stay tuned! 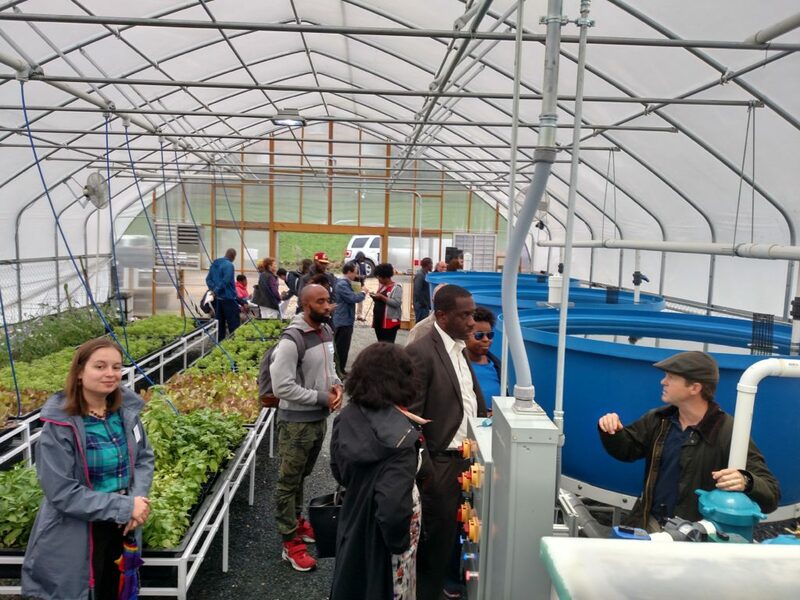 The University of the District of Columbia (UDC) hosted a great event last week showcasing their large aquaponics system at the East Capitol Urban Farm in Washington, DC (across from Capitol Heights Metro station). 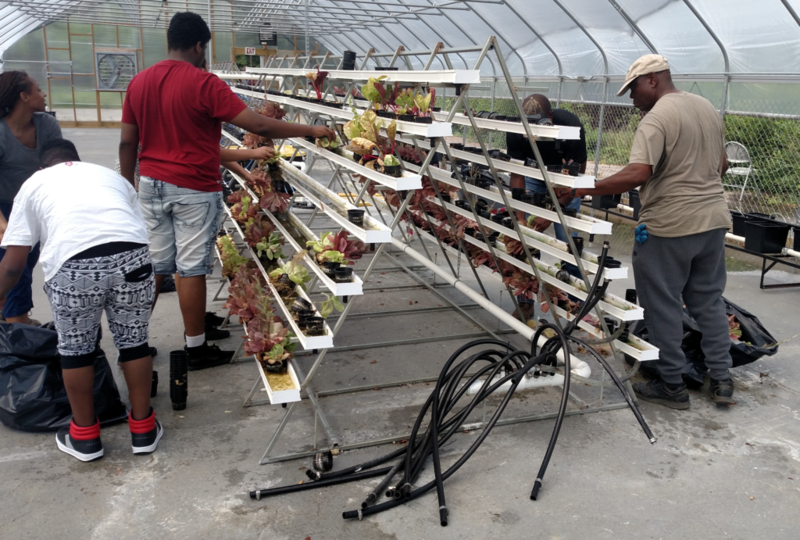 This system is one of UDC’s “urban food hubs”, which are designed to “improve Food Security and Sustainability in DC neighborhoods through food production, food preparation, food distribution, and waste and water management”. UDC is planning a food hub in each of Washington, DC’s eight wards. Each hub will include aquaponics or hydroponics. 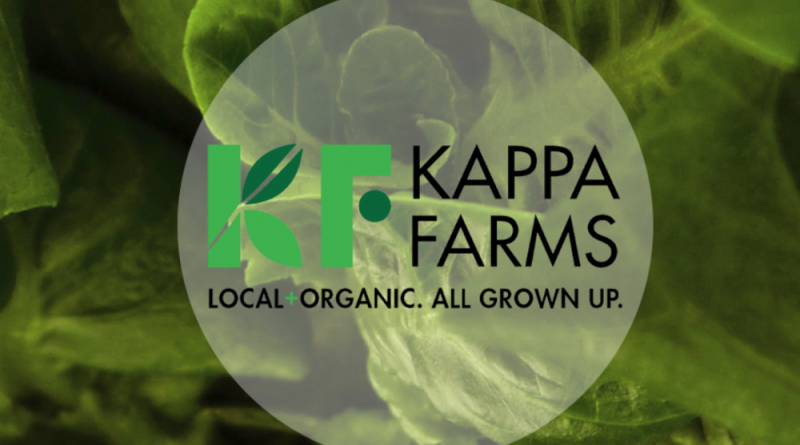 Check out their urban ag website here.